BRP Hot Rods: Stainless Band Clamp 3" BRP Hot Rods.com - conversion kit specialists for GM vehicles. 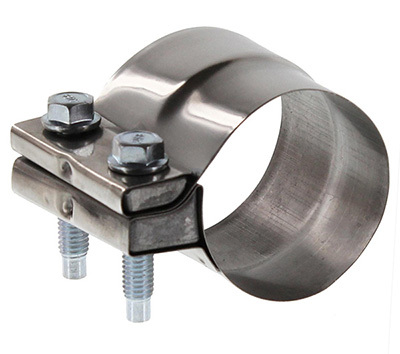 Stainless steel band clamp for 3" lap joint. The best exhaust clamps for ground clearance, sealing, and reuse. Great for using at the collector of our long tube headers.